Avaya Stadium is the recently opened new home of the San Jose Earthquakes. The Earthquakes first proposed the construction of a new stadium in 2007, and shortly after the club selected the Airport West site as their preferred location. A development permit was awarded in 2011, but local residents submitted appeals which led the start of construction to be delayed until the end of 2012. The discovery of underground concrete vaults led to another delay of a year, after which the stadium finally opened in 2015. The Earthquakes played their first match at Avaya Stadium on 28 February 2015 when they hosted the LA Galaxy in a pre-season friendly (3-2). The official inaugural match was played a few weeks later; the Earthquakes beat the Chicago Fire 2-1 in a league match. Avaya Stadium came at a cost of $100 million, $40 million more than initially planned, entirely privately financed. The most characteristic features of the stadium are the boxes at pitch level and one open end without stand but just a scoreboard. This end can later be filled with seating, resulting in a capacity of 24,000 seats. 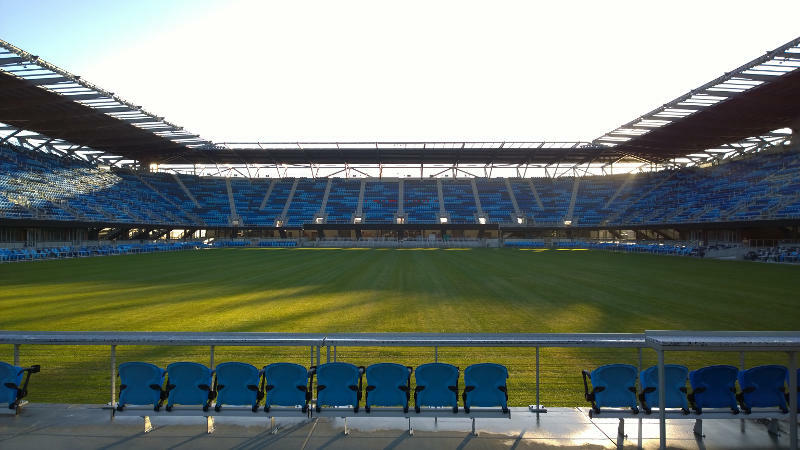 Avaya Stadium is also suitable for rugby matches and will co-host the 2018 Rugby World Cup Sevens. 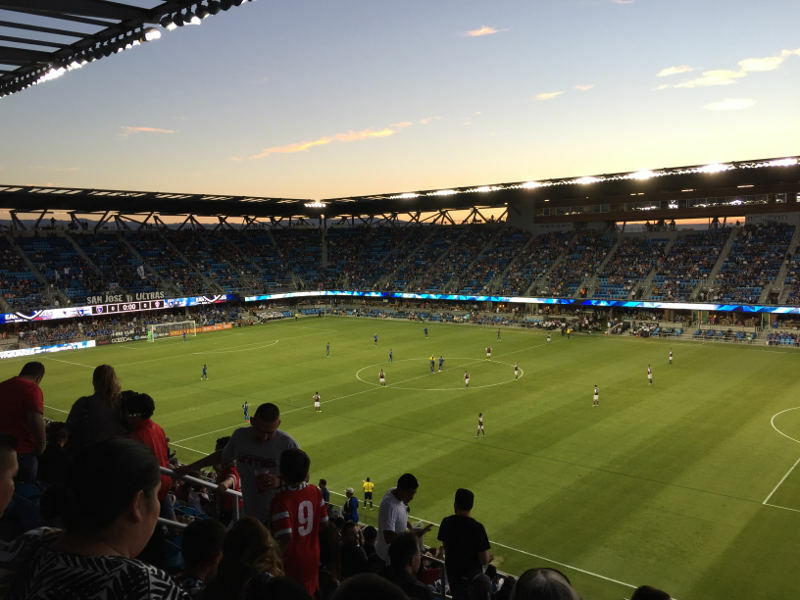 Avaya Stadium is located roughly 2 miles north-west of downtown San Jose. It borders San Jose International Airport on its western side. The stadium is best reached from the Highway 101, which runs from San Francisco in the north, west of downtown San Jose further south. Take the exit towards De La Cruz Blvd and turn south onto De La Cruz Blvd following the signs for Avaya Stadium. De La Cruz Blvd turns into Coleman Avenue (take a slight left), the stadium and matchday parking are on the right. If using public transport, make your way to Santa Clara rail station using the Caltrain (e.g. from San Francisco). If using the BART (e.g. from SFO international airport), get a train to Millbrae Transit Station and then change on a Caltrain going south. While Santa Clara station is located not too far from Avaya Stadium, there is no pedestrian-friendly connection. Therefore, take the VTA #10 Free Airport Flyer bus to Metro Airport, which passes by Avaya Stadium. San Jose Earthquakes tickets can be bought online through Ticketmaster. The San Jose Earthquakes currently sell out most of their home games so booking in advance is recommended. The Earthquakes tends to play one to two matches a year at the larger Levi’s Stadium and Stanford Stadium. SanJoseCA.gov – San Jose visitor information.